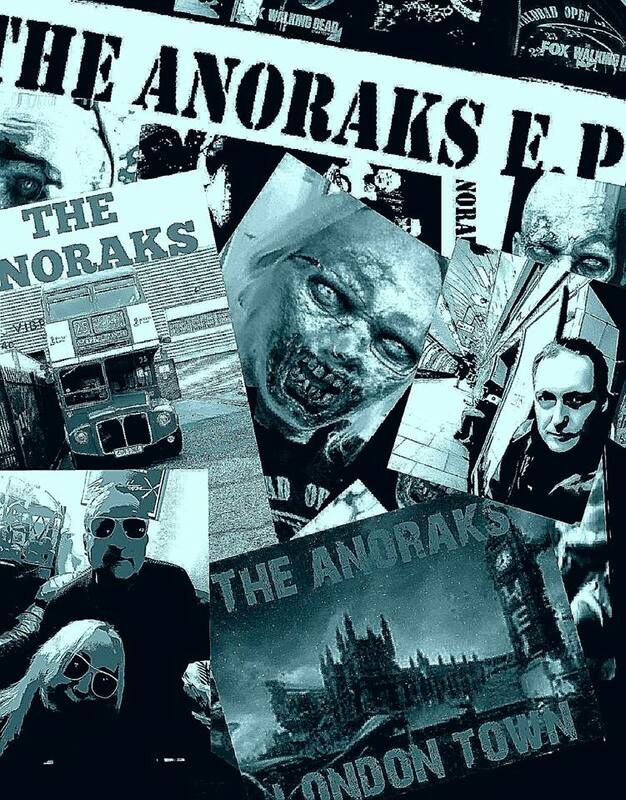 Ashley Colman steps up to the plate today with an infectiously enthusiastic review of a new song by one of his favourite bands, The Anoraks. He'd mentioned the song to me a few times and I was going to feature it on here anyway but I've got so many songs waiting to post I took the opportunity provided by no one having sent me a guest review for today to tell him to write a few words himself. Thanks for helping me out Ashley. Well, well, well. A band who I'd virtually forgotten about, the rather wonderful Anoraks. Albeit, we have a little bit of history for all the punk historians out there lol! 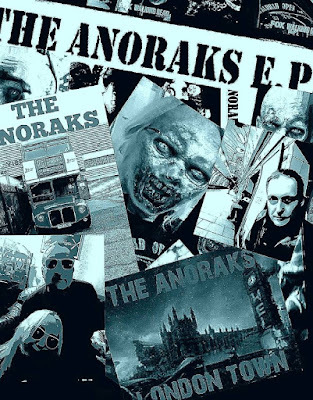 I interviewed The Anoraks for a zine in the early 2000's called Part Time Punk, anybody got a copy? Loving their infectious, 77 inspired vibes. 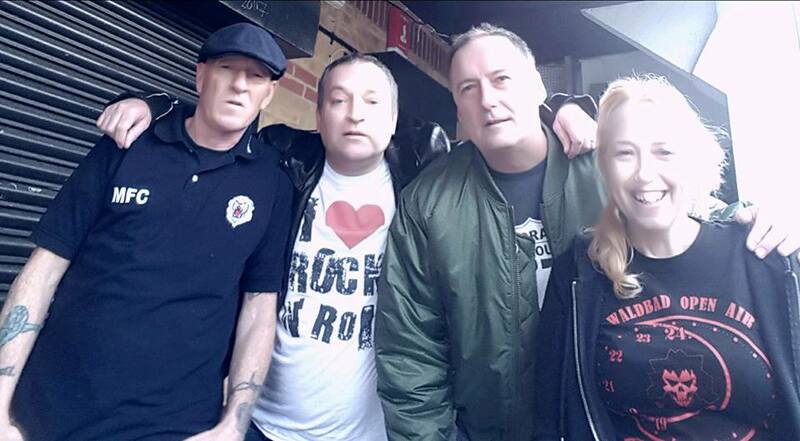 However, although playing their cd's sporadically, it wasn't until their release of the live cd " Live, Loud and Snotty" last year that it reignited my interest in them, and with great pleasure I'm pleased to say that a new ep (London Town ep) is due out very shortly, in fact according to Gary Minall the guitarist of the band, they're due to put the final touches to it this weekend. The track Kill Zombies was supposed to be a promo, however due to the extremely positive response, and no wonder, it's now going on the ep, along with 5 other tracks. Also, I hasten to add, on the ep is a track called " On The Wires" which is a old New Speakers song given the Anorak treatment. Regarding the New Speakers, they were a band who Gary was the guitarist for in the 90's, who released a fantastic ep called Casualty Street. They had a lp which they were due to release which unfortunately never saw the light of day. Anyways, you can hear the New Speakers, as well as the Anoraks as they have an abundance of songs on You Tube. Highly recommended. Thus, if you like timeless, snotty, 77 style punk, with big Attitude and tunes, along the lines of the Dead Boys, X- Ray Spex, The Saints, et al, yes there really that good! Then this is the band, the real deal, I kid you not.